About meI consider myself a member of the community of practice known as the “digital humanities,” which means that I think hard about how the study of literature, history, and philosophy has been and is being and might be changed by computers and the Internet — but I don’t limit myself to thinking; I get my hands dirty, thus causing some of the very change I think about, in an inexcusable breach of objectivity. 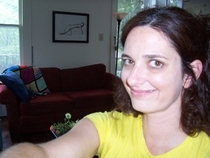 I am currently Research Assistant Professor and THATCamp (The Humanities and Technology Camp) Coordinator at the Center for History and New Media at George Mason University. Before that, I was an Assistant Research Scholar in the Archives and Public History program at New York University, where I helped develop a model digital curriculum, and where I developed and taught the graduate course “Creating Digital History.” Before that, I taught graduate and undergraduate courses in Victorian poetry and poetics, Victorian literature, and academic research methods for the digital age as a Teaching Assistant Professor at North Carolina State University. I held the Council on Library and Information Resources Postdoctoral Fellowship from 2004 to 2006. At the University of Virginia, while earning my doctorate in English, I encoded texts in first SGML and then XML for the Rossetti Archive and the Electronic Text Center. I also spent three years as a Teaching + Technology Support Partner training faculty in the English Department to use technology in their teaching and research. My 2004 dissertation is a history of the villanelle, the poetic form of Dylan Thomas’s “Do not go gentle into that good night” and Elizabeth Bishop’s “One Art.” Named by the Chronicle of Higher Education in April 2009 as one of “10 High Fliers on Twitter,” I am currently at work on a book about the poetics of Twitter. About my libraryI add books in the order I read them (when I remember to, and when they're not hideously embarrassing, and when I'm reading the whole thing instead of just skimming). This includes books I own as well as books I've borrowed from the library. It also includes audiobooks, because I do consider that reading. I also use LibraryThing to catalog my very mild and unexciting book collection of poetry first editions from about 1900-1970 and my collection of Poetry magazines.